A clean and tidy space makes for a happy and productive space. The older I get the more I find this to be true. Give me a cluttered desk and I need to clean and organize it before I can ever get started on my work. In our current home, it's fairly easy to keep things organized in our office. There is plenty of space. However, I've mentioned that we bought a house (don't worry, I haven't forgotten that I promised to post more about this; it's coming! ), and we will be switching up our office for an office/guest bedroom combo. That will leave us with minimal space, and large items just aren't going to work. So we've found a solution to one aspect of a home office that you can't forgo. The printer. 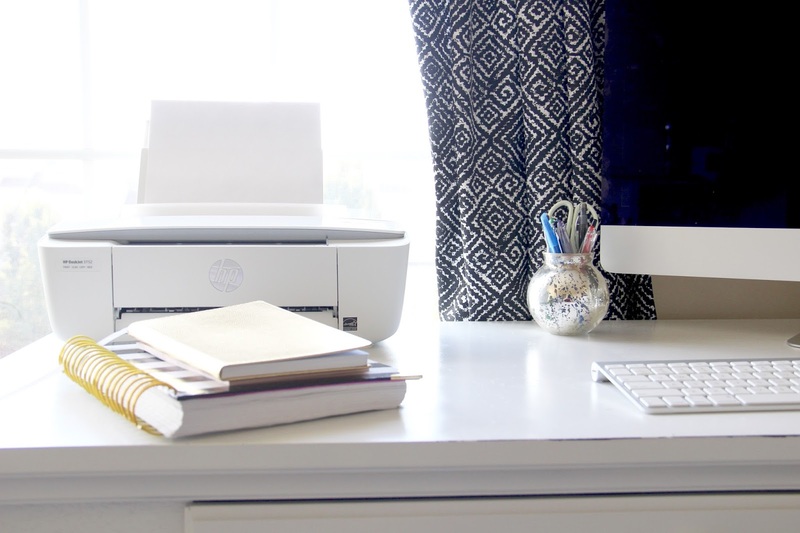 Printers can be so unnecessarily bulky, but the all-new HP Deskjet 3752 printer is so compact, light, and neutral that it fits neatly on the corner of your desk without taking up needed space. 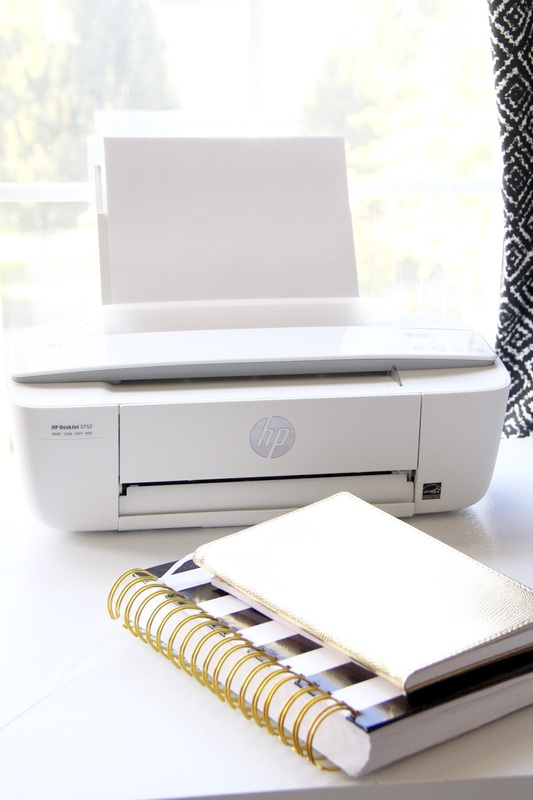 And did I mention neutral...because I'm all about a printer that blends beautifully in, complementing your tabletop décor instead of competing with it. 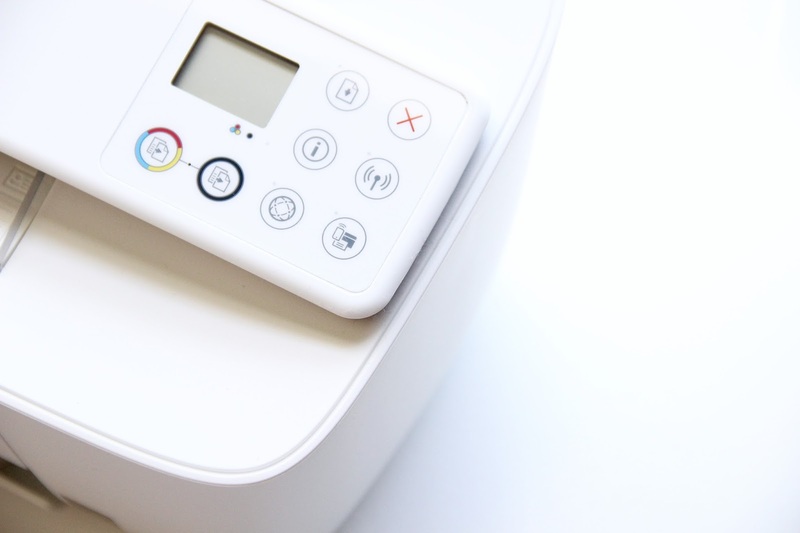 Not only is this printer pretty, yes I called a printer pretty, but it is so flexible with its capabilities. 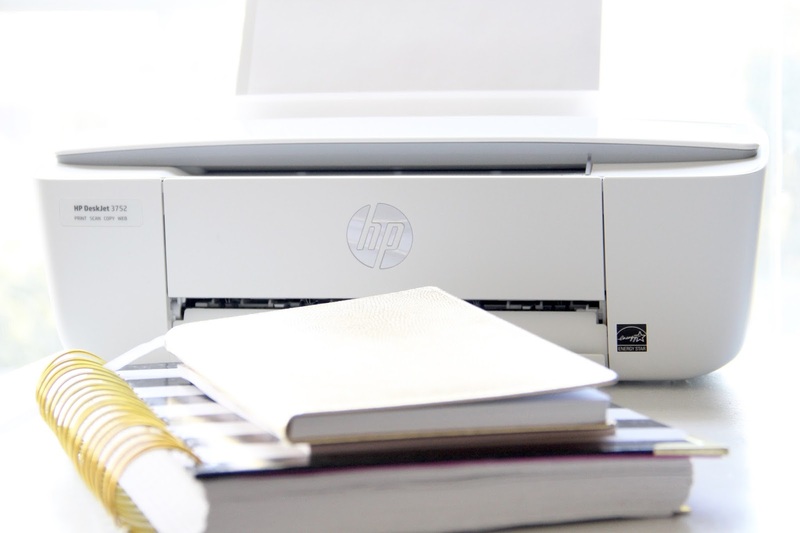 This HP Printer gives you compact printing power + wireless independence so that you can print, scan, and copy from virtually any mobile device. Where was this when I was in college?! Not only would it have taken up less space in my tiny dorm room, but it would have let me print from my phone. And to top it off, the printer is budget-friendly and can be found at your local Walmart or here. College students, do you hear me?? So what do we print in our home? Lately, it's been a ton of candle labels. But, I'm always working on a new printable, and husband is about to begin his last semester of graduate school, which means our printer will be working over time. Back-to-school is a good time to hit the refresh button and get yourself organized before a new routine kicks in. So in honor of school starting back up and the approaching fall season, I decided to make a printable for all of your list-making needs. Raise your hands if you love making lists (I'm over here waving my raised, type-A hand). 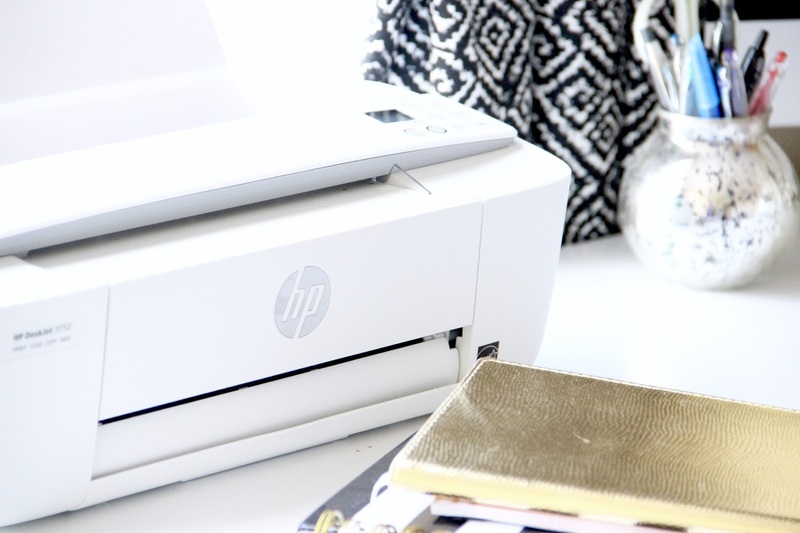 Find some other creative ways to use your printer HERE. 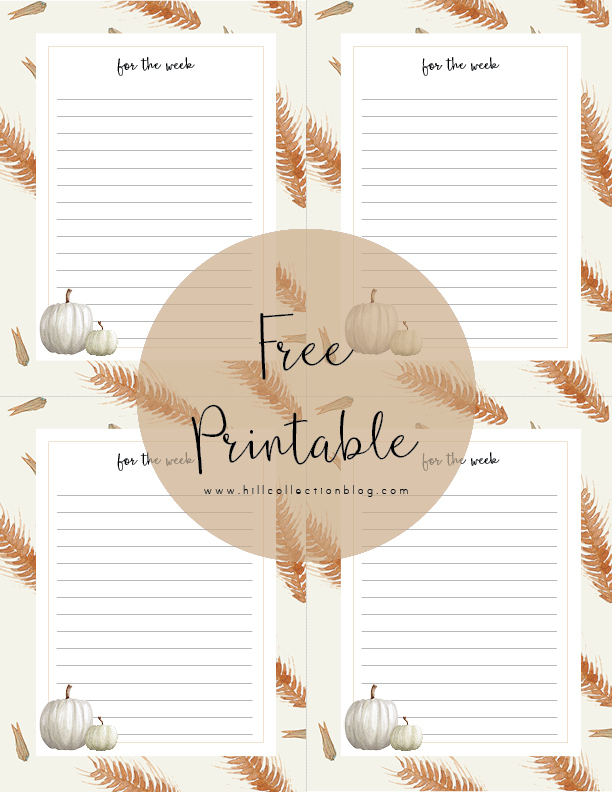 Because you can't think of heading back to school without thinking of fall (or maybe that's just me), you can find my fall "for the week" printable, HERE. Just download, print it out, and cut it into fourths. From your to-do's to your grocery lists, you can use this printable to get ready for back-to-school or just to keep yourself organized.